AC Milan coach Massimilano Allegri considers Tottenham Hotspur to be a real threat in the first leg of their Champions League round of 16 tie on Tuesday despite the absence of injured wide man Gareth Bale, so impressive when Spurs played Inter Milan in the group stages. It doesn’t matter if Bale doesn’t play because Tottenham have done well recently without him. They are a tough side, very well organised with a good team spirit. Some of their players have real quality. There’s a chance that [Clarence] Seedorf will play from the start. In midfield I only have [Gennaro] Gattuso, Seedorf, [Mathieu] Flamini, [Alexander] Merkel and [Marek] Jankulovski available, but I can also use Thiago Silva if needed. [Massimo] Oddo or [Ignazio] Abate will play at right-back, but whoever I choose will be ready to do well. Abate has fully recovered and Oddo played some good games recently. 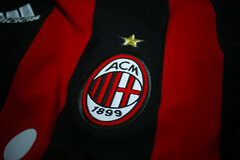 Milan’s aim is to go as far as possible in this competition, so we have to go through this round. The best teams are in this competition, so from now on we can’t afford to make any mistakes or we will be eliminated. In the last two seasons Milan were eliminated by English sides so we have to be careful. Statistics mean nothing to me now and I think that my team have a great chance to qualify for the quarter-finals. We want to win tomorrow, it’s important to get a good result. The atmosphere in these international competitions is always very good, and we already proved that we can do well in Europe. We have a few players out, but Milan also have some injured players. Tottenham are writing a beautiful story this term in the Champions League, it’s another level of football. The Premier League is a great league but this atmosphere is really wonderful, especially for the supporters. Milan are a great team, but we are a great team as well. They’re above Inter now but Inter are also not bad. When we lost 4-3 against them it was like a victory for us, because we went back home thinking that we can scare everyone if we want. I’m happy with the draw, it’s nice to play such games, against a team like Milan. With captain Massimo Ambrosini (thigh), Andrea Pirlo (knee) and Spurs old boy Kevin-Prince Boateng (Achilles) absent, Allegri is short of midfield options and may move Thiago Silva upfield with Mario Yepes taking his place at centre-back, next to Alessandro Nesta. Nicola Legrottaglie (head), Nesta (shoulder), Ignazio Abate (thigh) and Luca Antonini (hamstring) have all recovered from injuries, as has second-choice keeper Marco Amelia (hamstring). Gareth Bale has not recovered from his back injury and did not travel. Peter Crouch (back) and Rafael van der Vaart (calf) missed the weekend’s Premier League action but should be fit. Luka Modrić is unlikely to start after an appendix operation while Younes Kaboul (knee), Ledley King (groin) and Tom Huddlestone (ankle) are still injured, and Jermaine Jenas is suspended. Tottenham tied with Arsenal for most goals scored in the group stages with 18, but they also conceded 11 in six games. It’s defence is a problem for Spurs as Milan can score goals with Pato, Ibrahimović and Robinho up-front. At times I think that Harry Redknapp is a little naive with his tactics in Europe and I can see that hurting Spurs as they will play too open and leave themselves open to the Milan counter-attack. Score: Milan 3 Spurs 1.